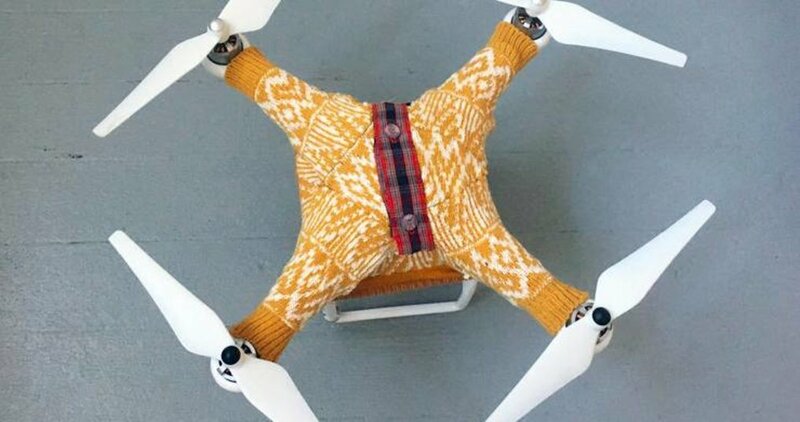 Flying DJI aircraft in winter can be fun, but we have heard that some of our users have experienced issues when flying in cold weather. Did you know that as the temperature drops, so does the performance of the LiPo battery inside your aircraft? Read on to find out how to look after your battery and keep yourself in the air. LiPo, or Lithium Polymer batteries drain faster the colder they get because the chemical reactions that they use to create electricity are slowed. This starts to occur at temperatures lower than 59°F (15°C) and is a known issue of all LiPo batteries. At high altitudes where air pressure is low, motors on an aircraft have to spin faster produce enough lift, meaning even more power is needed, in turn accelerating battery drain. In extreme cases, a battery could drain below 3V, causing reduced thrust or even battery shutoff due to over-discharge protection systems designed to keep your battery healthy. - Make sure batteries are fully charged before each flight. - Warm batteries to 25°C (77°F) or more before flight. We recommend using a battery heater. - Hover the aircraft for around a minute to allow the battery to warm up. - Turn on “Show Voltage on Main Screen on the Aircraft Battery page of the DJI Go app. Do not continue flying if battery voltage drops below 3.2v.